When a friend tried to ask me to help him regarding his Website, I was reluctant. He has an AC Company and has been in the business for years. To catch up with technology and the need of promoting his business via online, he created a Website. 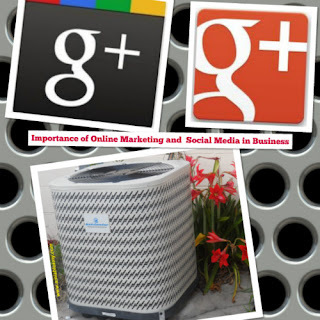 He admits that he is an expert when it comes to installing the Air Conditioning unit but with IT; he is in limbo and has no idea about online marketing world. His Website has a nice layout and he added relevant information with google+ photos. For the longest time, his clients were asking him about his Website so they could write a favorable feedback and probably recommend his company to their friends online. When he knew that I work online, he asks for my help. I did try to help him set up the social media automation tools but then again; I told him upfront that he needs a reputable company that handles SEO and promotes his Website to different Social Media platforms. Online marketing is not only growing rapidly but; by far the new trend in marketing. No matter how great and creative your Website but then again; the visibility is minimal, your Website will always be in the backseat in the World Wide Web. Internet is the primary source of information in this generation therefore; to drive clients to your business is to let the people know that your business exists. What better way to achieve that, is thru online advertising. When a company gains traffic, it will definitely boost the business and thereby; achieving the desired business sales and revenue will surely go up. When my friend decided to hire an online marketing company, he received more calls from new clients and his services are sought after because he is really good in what he do. Business is good so far and he is so thankful that the online marketing company he hired did a great job for his business. Even though this is a sponsored post, all opinions and views are based on my experience and completely my own. I love to read your comments. Thank you so much and I will visit back. Disclosure Policy is valid from 21 October 2008. This blog is a personal blog written and edited by amiable amy. For questions about this blog, please contact me thru "comments" area of any post. This blog accepts forms of cash advertising, sponsorship, paid insertions or other forms of compensation. This blog abides by word of mouth marketing standards. I believe in honesty of relationship, opinion and identity. If it is a sponsored post, it may influence the advertising content, topics or posts made in this blog. That content, advertising space or post may not always identified as paid or sponsored content. Any product claim, statistic, quote or other representation about a product or service should be verified with the manufacturer, provider or party in question. It is the sole responsibility of the reader to weigh the product endorsement as legitimate. * If you want to contact me, leave a message in the Comment section.